Take a step forward in launching your career in the vegetation management industry. Apply to work with our team today. At ACRT Pacific, we’re always looking for driven individuals with good customer service skills who love the outdoors and appreciate the support and independence we provide. But it should be noted that this job isn’t right for everyone. Our utility foresters spend time seeing nature in ways most people will never experience. We believe in safety and independence, and your work will reflect that. You’ll be trained in safe practices, and you’ll often be the steward of our best practices on your own in the field. We trust our people to represent the good name we’ve built since 1985. Beyond the normal requirements of a career, you will need to have the emotional capacity and level-head to deal with dogs and upset property owners when they encounter you on their land. 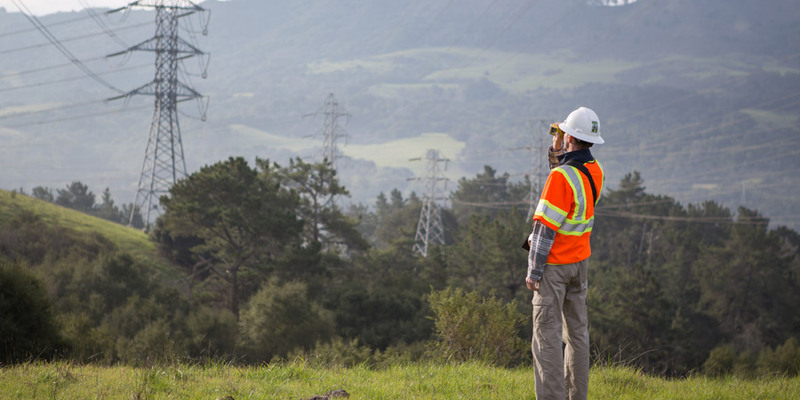 This position will take you to some of the most beautiful places in the U.S. Our foresters assess and manage vegetation, build and organize plans, and act as a client liaison for their customers. Join our Ready Force team Be a part of a small, elite group of foresters dedicated to helping our customers for short-term, last-minute or start-up projects. A job with ACRT Pacific will make a positive impact on your career. Our clients demand and expect only the best, and that’s exactly the type of employee we provide. Interested in applying for a position for our team? Learn more about the vegetation management jobs we hire and check out our current openings here. You can also learn more about our parent company, ACRT Services, and see all our current open positions. Please note that due to the volume of submissions we receive, we will only contact those selected for an interview.